Book Lovers Life: According to Audrey by Happy LaShelle Book Blitz and Giveaway! 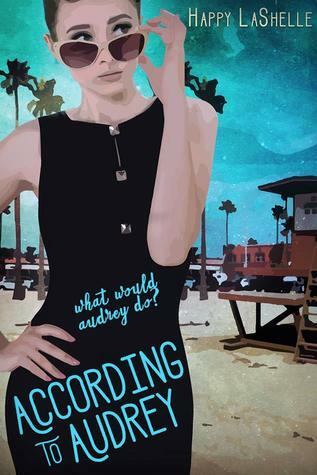 According to Audrey by Happy LaShelle Book Blitz and Giveaway! This is your debut novel. How does it feel? Pretty thrilling, honestly. It’s been several long years of writing, learning craft, rewriting, learning more craft, revising some more – not to mention coming to understand the ins and outs of the writing world and the publishing business. This novel is my first book baby, and in the end, I’m glad it took me so long because all of that investment of time and process has given me a book that I’m sincerely proud to share with the world. Tell us about Newport Beach, California as the setting for your book. Why did you choose it? It was important to me that the setting of the story would jump off the page and come alive as though it were its own character in the book. Newport Beach was my childhood hometown, so I know it well, and I’m partial to its allure and charm! I was excited to bring to life on the page all the places that are so rich with Newport’s storied culture and history – Balboa Island, Newport Bay, Lido Island, the Peninsula, to name just a few. I also gave myself artistic license here and there for the sake of storytelling purposes – the fictional Bayport High for example, as well as its baseball field, which I imagined near the present-day Castaways Park, on the Back Bay cliffs. I also introduced fire pits at Pirate’s Cove in Corona Del Mar – a few small things to that effect. What was paramount for me was to portray the essence of the town in a way that captured for the reader the true spirit and character of Newport Beach. What were the books/authors that influenced you as a child? The first novel I remember reading was A Little Princess by Frances Hodgson Burnett, and I just loved the heart of that book. It’s set in Victorian London, and despite the simplistic title, Sara is a complex little character with a strong sense of herself and a wise compassion for others. When all goes pear-shaped, the dire circumstances really test her mettle, and I love the strength she shows through it all. I also loved The Boxcar Children books, Misty of Chincoteague, The Swiss Family Robinson, and we had this colorful, thick version of The Arabian Nights that I would flip through for hours. It was the quintessential, perfect storybook with all of those magic-filled short stories from faraway lands. As a young adult, Amy Tan’s The Joy Luck Club, and Bryce Courtenay’s The Power of One really made an impression on me… and honestly, I was obsessed with V.C. Andrews as a teenager. The Flowers in the Attic books and the Heaven series were hard to put down. I loved her style. Not really. My name is a bit unusual, so I tried to tone it down by using my initials, H.M., during the query process to agents and editors. I didn’t want the name Happy to be a distraction from my work, and I wanted to be taken seriously. 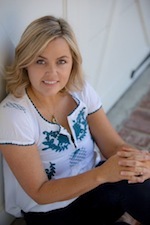 After my book sold, my publisher really encouraged me to use Happy – they loved it. I’ve always liked my name, so I was excited to embrace it as my official author name. Actually, when I was deciding between H.M. and Happy, I asked my son’s opinion, and he thought I should definitely use Happy LaShelle… he said, “That literally sounds like a made-up writer name, Mom.” Ha! So in the end, Happy it is. What’s your coffee house drink of choice? I’m into tea lattes lately. At a local haunt here in Santa Barbara there’s one called a Magic Bowl - chamomile mixed with honey and steamed milk – oh my, it’s like comfort in a cup! I also love the London Fog made with earl grey - so perfectly British tasting. Then there’s my stand-by iced mocha, and the go-to hot chocolate on a rainy day. Any advice for a writer just starting out? Keep going. The process can take a long time, but let your passion propel you forward. Let the rejections make your work better, and don’t take no for an answer. Do something for your writing every day – for me, reading about writing and the writing life is hugely inspiring. One of my favorite writing mentor books is Page after Page by Heather Sellers. Her funny, straightforward style is charming, and her wisdom is so encouraging to everyone on the author path. Don’t forget - you are not an aspiring writer – you are a writer!